Clarets defender James Tarkowski has been included in Gareth Southgate's England squad to face Croatia and Spain later this month. The 25-year-old was handed his second international cap when the Three Lions saw off Switzerland at Leicester City's King Power Stadium last month. Tarkowski, who was withdrawn in the victory over Cardiff City in South Wales with a groin strain, played in the middle of a back three for England that day, flanked by Harry Maguire and Manchester City's Kyle Walker. 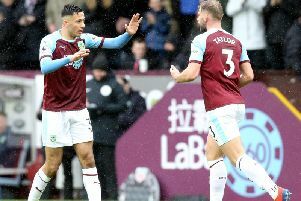 The Burnley centre back earned his first cap for his country in the 1-1 draw with Italy at Wembley and had been added to England's stand-by pool for the 2018 World Cup in Russia. However, he was forced to withdraw after undergoing a hernia operation. England face a repeat of their World Cup semi-final when taking on Croatia in the UEFA Nations League on Friday, October 12th in Rijeka. They'll then face the Spanish at the Estadio Benito Villamarín in Sevilla a week on Monday.